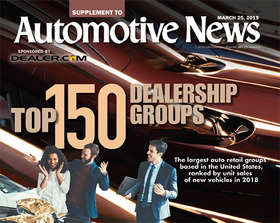 Automotive News' annual list of the top 150 dealership groups based in the U.S. Fears about industry disruption and how it will affect automotive retail aren't spooking some big retailers from investing more of their profits in the traditional dealership model. 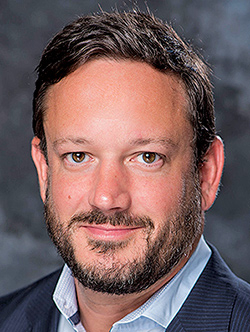 The resulting acquisitions helped several dealership groups boost new-vehicle sales last year and climb Automotive News' annual list of the top 150 dealership groups based in the U.S.
For dealer Brett Morgan, there's room for the disrupters to carve out a place in the market without usurping his business. "We use the term 'disrupter' too loosely," said Morgan, CEO of Morgan Auto Group, of Tampa, Fla. Some recent entrants to auto retail — Carvana, for instance — "are not immune to the trials and tribulations of selling used cars" that traditional dealers face, such as margin compression and rising inventory prices. Morgan Auto Group moved up 11 places on the top 150 list to No. 24 as its new-vehicle retail sales jumped 35 percent in 2018. That was the highest percentage increase for any retailer on the list. 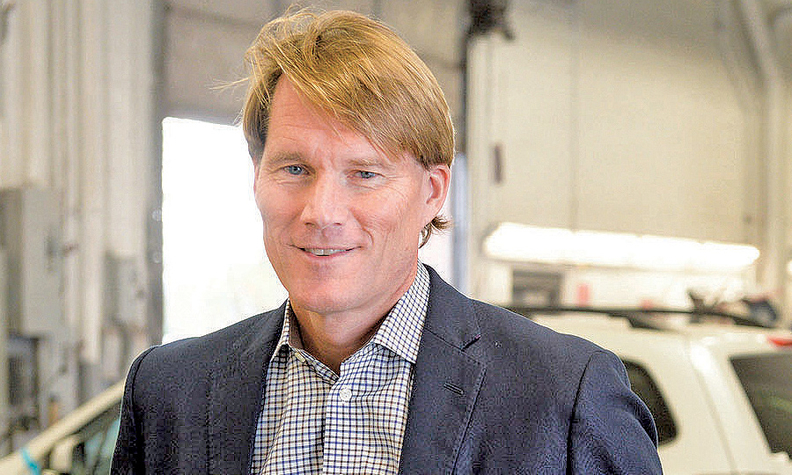 Morgan added eight dealerships last year and attributed his acquisitions to a particularly profitable 2018. Even as dealers such as Morgan aren't dissuaded from buying more stores, disruption is playing a role in the minds of some sellers. But dealership buy-sell advisers say the noise of disruption from emerging technologies is not hurting the value of dealerships or deterring prospective investors from the market. "More dealers have decided they want to retire, take chips off the table before a larger decline and/or have concerns about the future of the industry," adviser Alan Haig wrote in the 2018 Haig Report published by Haig Partners, a buy-sell company in Fort Lauderdale, Fla. "So far, none of the tech disruptors, such as ride sharing, electric vehicles, and autonomous vehicles, are hurting dealers in any meaningful way, and most buyers don't think they will have an impact for years to come." Haig said disruption has been a reason some of his clients opted to sell, including in one particular recent transaction that he declined to identify. Those dealers were concerned about the potential impact changes in technology — though not specific — could someday have on their business, so they opted to sell, he said. "They wanted to take the capital out of auto retail and deploy it" elsewhere, Haig said. *Publicly held ‡Figures include data for dealerships outside the U.S. Some larger dealership groups are taking advantage. #1 Cochran Automotive, of Monroeville, Pa., climbed the most rungs on the list after increasing its store count by three in 2018. That vaulted the group 22 spots up the list to No. 71. The Pittsburgh-area retailer increased new-vehicle sales by 31 percent last year, or nearly 3,300 additional vehicles. It purchased two Nissan stores in April and a Toyota store in July. "Our footprint in the market that is important to us — western Pennsylvania — is more mature now than 12 or 18 months ago," CEO Rob Cochran said. "I expect there will be more consolidation in the dealer ranks, but ultimately, the people who win are the ones that can best take care of the customers and win loyalty." Consolidation activity has defined the buy-sell market for the past five years, and desirable economics drove a healthy number of deals last year, said Erin Kerrigan, managing director of Kerrigan Advisors in Irvine, Calif. According to Kerrigan, there were 216 dealership buy-sell transactions in 2018, up from 202 in 2017 but down from 221 in 2016. "Many of the buyers that we talk to today really have a clear sense that they are going to make a tremendous amount of money by consolidating this industry," Kerrigan told Automotive News. The activity has affected the rankings even among the biggest retailers. Among the top 10, two pairs of dealership groups swapped places. Lithia Motors Inc., which has been on an acquisition tear in recent years, unseated Group 1 Automotive Inc. to gain the No. 3 spot. Lithia retailed 184,601 new vehicles last year, up 10 percent. Sales for Group 1 dipped 1 percent to 170,517 new vehicles. Ken Garff Automotive Group and Larry H. Miller Dealerships also switched, with Larry H. Miller improving to No. 8 and Ken Garff dropping to No. 9. Larry H. Miller retailed 68,548 new vehicles in 2018, down a fraction of a percentage point, or 146 vehicles. Ken Garff sold 63,606 new vehicles, down 9 percent. Otherwise, the top 10 spots on the list remained unchanged from the year prior. AutoNation Inc. and Penske Automotive Group Inc. continued as No. 1 and No. 2. Sonic Automotive Inc., Hendrick Automotive Group, Asbury Automotive Group Inc. and Staluppi Auto Group retained the same rankings as the previous year. The top 10 groups together retailed 1,433,080 new vehicles in 2018, or 8.3 percent of the total U.S. light-vehicle market. That number also represented about 40 percent of the new vehicles retailed by the top 150 groups. Prime Automotive Group, in Westwood, Mass., ended the year just shy of the top 10, taking the 11th slot. That was an increase of two places for Prime, which had gained 53 slots in 2017 to get to No. 13. Some large dealership groups that may have qualified for the top 150 declined to respond to Automotive News' survey. They included Berkshire Hathaway Automotive, a perennial top 10 placeholder under its former ownership, Van Tuyl Group. Automotive Management Services Inc., of West Palm Beach, Fla., which provides support to the sprawling group of dealerships owned by Terry Taylor, also did not participate. Six groups on the 2017 list did not respond for the 2018 list. Two of them — Reagor Dykes Auto Group and Momentum Auto Group — had financial and legal troubles erupt in 2018. Reagor Dykes, of Lubbock, Texas, formerly No. 131 on the list, is operating under Chapter 11 bankruptcy protection after being sued by Ford Motor Credit Co., which accused the dealership group of massive floorplan financing fraud. Momentum Auto Group, of Fairfield, Calif., No. 124 on the list in 2017, closed all of its stores after court battles began with floorplan lenders. Most stores have been placed under the direction of a court-appointed receiver who is looking to sell the dealerships. Ten of the top 150 groups were either new to the list or returned after an absence in 2017. The highest-ranking among those 10 were Ourisman Automotive Group, of Marlow Heights, Md., at No. 29 and Baxter Auto Group, of Omaha, Neb., at No. 33. Other big gainers on the list included Gee Automotive Cos., which moved up 18 spots, and Open Road Auto Group, Garber Management Group and Ciocca Dealerships, each of which moved up 13 slots. Twelve dealership groups fell 10 spots or more in the ranking. Ken Page Auto Group, of Coral Springs, Fla., dropped 30 spots to No. 66, selling one-third fewer new vehicles. Car Pros Automotive Group dropped 28 slots to No. 84. Piercey Automotive Group fell 19 spots to No. 68. No. 1 for new retail vehicles sold per dealership was Bomnin Auto Group, of Miami, with 3,441 vehicles per store. This is Bomnin's first year on the list. The No. 1 in that category on the 2017 list, Galpin Motors Inc. of North Hills, Calif., slid to No. 2 with 3,303 vehicles per store, down 184 from 3,487. Piercey Automotive, of Irvine, Calif., was No. 3, with 2,963 vehicles, down from 3,182. Cavender Auto Family, of San Antonio, came in fourth, with 2,955, and David Wilson Automotive Group, of Orange, Calif., fell to No. 5 from the third slot a year earlier with 2,841 vehicles. The biggest gainer in the overall ranking, #1 Cochran, is unlikely to repeat its degree of improvement anytime soon, Rob Cochran said. He's more focused on internal gains than buying stores. "I've never been one to [say] we want to be this big," Cochran said. "I really just want to see us get better. If you're not going to get better, why do it?" Melissa Burden contributed to this report.